You can use them throughout the year, St. Patrick’s Day, St. Stephen’s Day (December 26), Inventor’s Day (November 9), etc. These posters are simple to use. Just print, laminate, and post.You can print out a short paragraph of information about the inventor and the invention. You can also bring in experts from the community for more information or display a modern version of the invention and let the conversations expand from questions and curiosity. 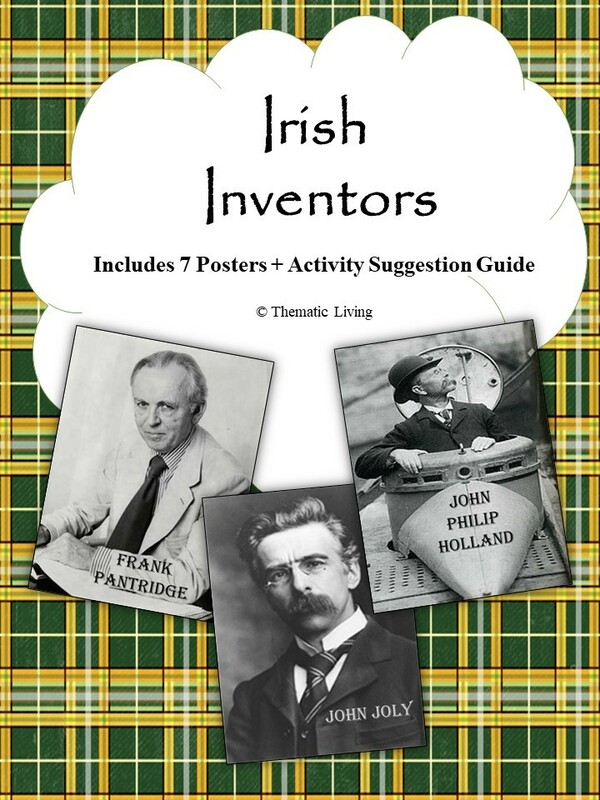 Use the Activity Suggestion Guide included in this resource help you plan activities around each inventor/invention and assist in stimulating conversations. There are 7 unique posters included.